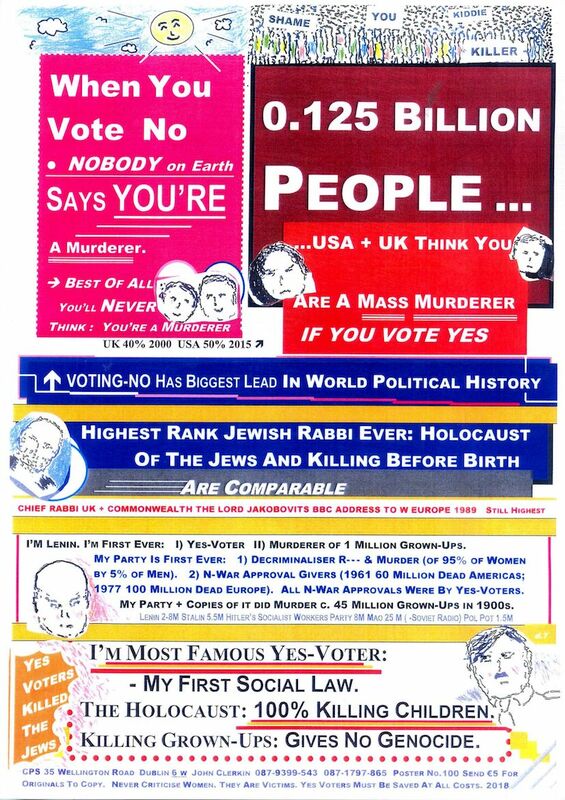 A rather extreme Vote No poster from The Children’s Protection Society. These have been plastered around various areas of Dublin. The Children’s Protection Society have been around since the 1970’s producing material against Contraception, Abortion and so on.